Panther - I Say Ding Dong Shop - Buy Stickers, Decals & Unique Automobilia. 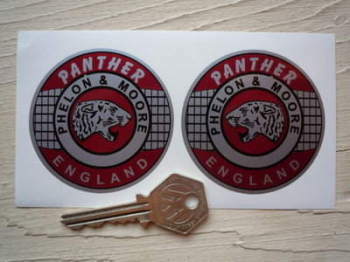 Panther England Phelon & Moore Circular Stickers. 2.5" or 3" Pair. 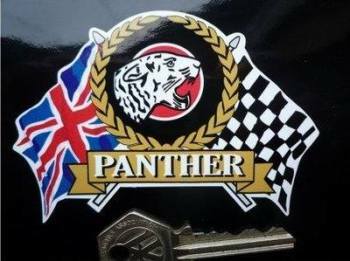 Panther Flag & Scroll Sticker. 3.75". 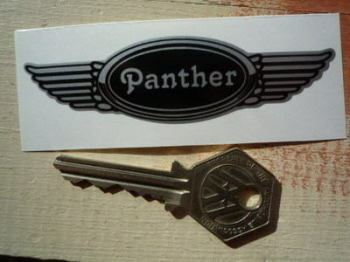 Panther Motorcycle Printed Black & Gold Text Stickers. 4.75" Pair. Panther Phelon & Moore, Cleckheaton - Yorkshire Panthers Head Sticker. 3". 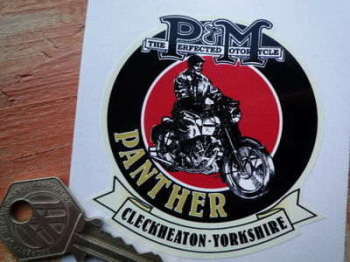 Panther Phelon & Moore, Cleckheaton - Yorkshire Sticker. 3". Panther Printed Red Text Stickers. 4.75" Pair. 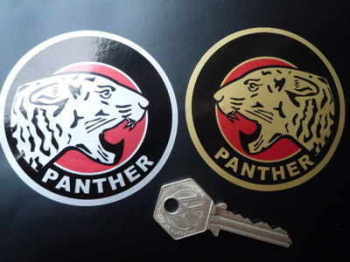 Panther Round Stickers. 3" Pair. 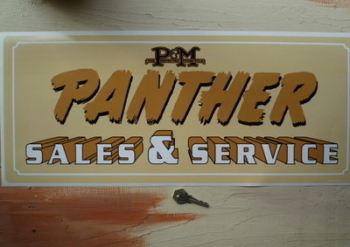 Panther Sales & Service Sticker. 23.5". Panther Winged Helmet Sticker. 3.5". 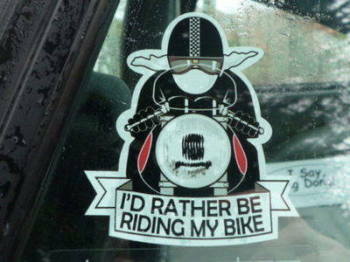 Phelon & Moore 'The Perfected Motorcycle' Stickers. 4" or 6" Pair. 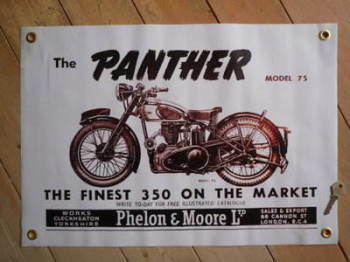 Phelon & Moore Panther model 75 Finest 350 Art Banner. 23" x 15".